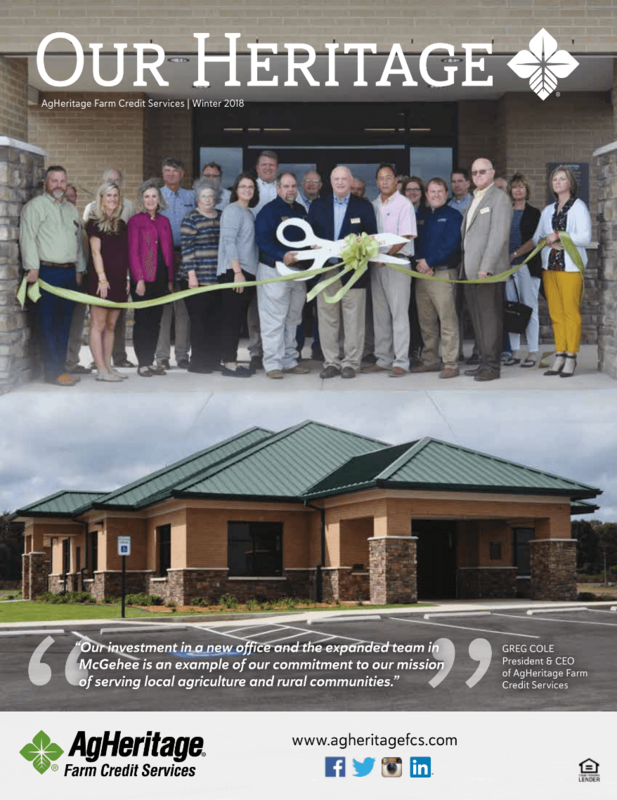 AgHeritage Farm Credit Services Young, Beginning and Small Farmer program is designed and targeted to fit the needs of the next generation farmer. AgHeritage Farm Credit Services believes that investments made in 4-H and FFA programs are investments made in farming for the next generation. We take great pride in our widespread support of organizations and events that share our commitment to rural Arkansas and agriculture.